Is it a reptile? A bird? Or a mammal? 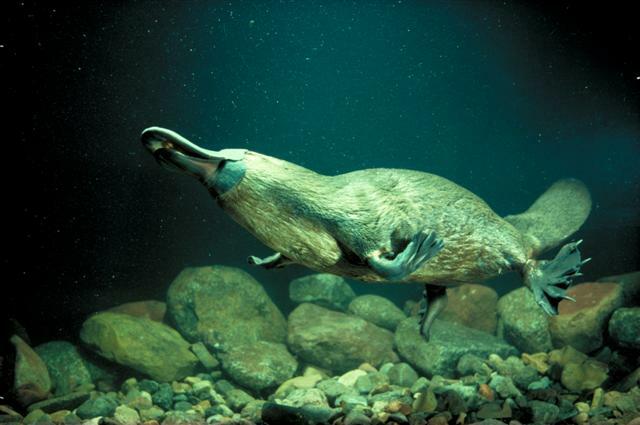 The platypus is a highly specialised animal that is comfortable in the water and on land, and The Platypus House is a unique attraction where visitors get to see these special animals up close and personal. There are tours throughout the day that guarantee that you’ll see the animals feed and play together in a natural environment. It is a rare opportunity to see the platypus as close as this, active and during the daytime, so don’t forget your camera. But it’s not just the Platypuses that attract people here, the echidna’s are just as cute. If you get time, check out the echidna garden where they’ll crawl up on your laps to be played with. Entrance also includes viewing the Interpretation Centre and a 15 minute film in the Theatre. The usual price for entrance here is AU$23/Adult and AU$9/Child. Check out all the details, as well as the benefits you can get, here. Then you can start planning your trip today! Tickets to this are included in the iVenture Australia Multi City Flexi Attractions Pass, - just one of the many experiences on offer to you. See more and save with an iVenture Card.